Is Everyone Now Bullish in Stocks? At last, we have entered the middle-ground of analytical thought. Between 2009 and 2017, the majority were bearish calling for the inevitable crash any day now. So after 8,6 years, they have now crossed the Rubicon and we now see there is a general expectation that stocks will keep rising, albeit at a slower pace. The reasons they now have adopted a focus on the Trump Tax Cuts and the odds seem low for a recession this year. They are also touting that economies around the world are finally in sync and starting to grow together, yet that seems to be delusional at best. Then we have the typical fundamental arguing that with profits on the upswing for companies, stock prices tend to follow the direction of profits. That too is a myth for even Shiller has admitted that since 1881, the correlation of the past decade’s real earnings growth with the price-earnings ratio is a positive 0.32. But there is zero correlation between his CAPE ratio and the next 10 years’ real earnings growth. Shiller has even stated that real earnings growth per share for the S&P Composite Stock Price Index over the previous 10 years was negatively correlated (-17% since 1881) with real earnings growth over the subsequent 10 years. So the whole earning issue really cannot explain market performance no matter how logical it may sound. Shiller has even conceded that bond markets also fail to correlate to inflation. It is the past that rules the future. He has stated that long-term interest rates tend to be high when the last decade’s inflation was high. He has pointed out that the US long-term 10-year bond yields are highly positively correlated (70% since 1913) with the previous 10 years’ inflation. However, he notes that any correlation between the Treasury yield and the inflation rate over the next 10 years is only 28%. Of course, diversification is the uneducated way to invest. It is admitting you cannot forecast so the best way is to spread out your bets. 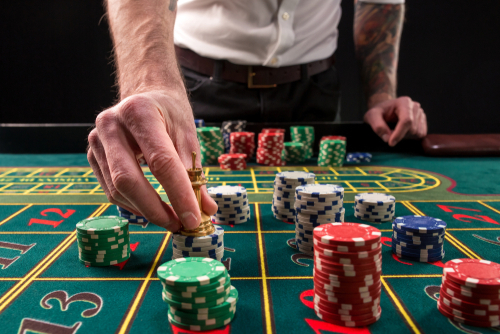 You can see the results of diversification strategies at any casino’s roulette wheel. People will bet on many numbers staggering their wagers between them hoping to catch the number with the biggest bet and hedging it with smaller bets on a variety of numbers. Investment diversification is the same. They do not know which market will perform best so they spread their bets around hoping for the best. They guarantee to take some losses in hopes of a reasonable win. Yet, there is a growing consensus that the market is going up and they really do not know why so they are punting out theories. They still are touting risks that they see lying ahead. One concern centers on just how long and strong this bull market has been. Since the rally began from the 2009 low, they say that stocks have become more expensive than they’ve historically been, relative to corporate profits. Yet Shiller has conceded that does not produce a winning correlation. We passed the entire length of the bull market during the Roaring ’20s, which was 97 months last April 2017. This scares many as they keep talking about value. Many warn that an unexpected spike in inflation can kill the bull market, although I totally miss this logic. 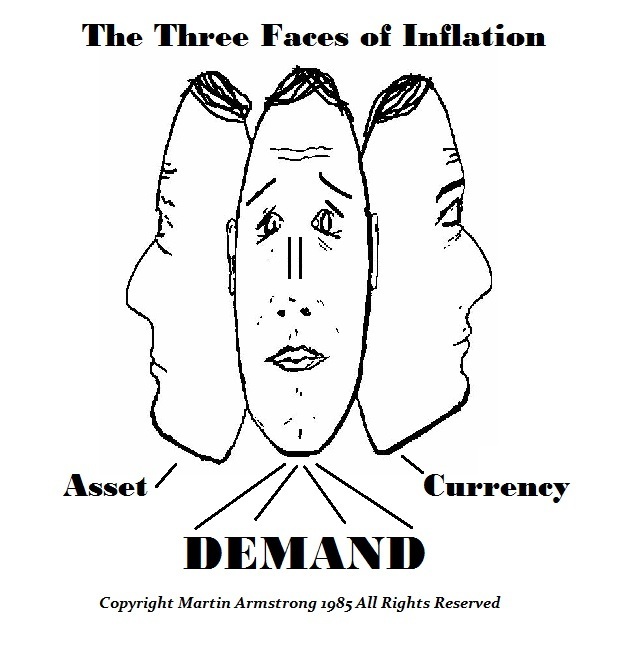 They obviously do not understand the three different types of inflation. They look at the past deflation and low-interest rates and then assume the market has risen with low-interest rates and low inflation. Others attribute the rise to the central banks around the world massive stimulus programs to avoid a downward spiral. Inflation is still relatively modest, but the job market is at its healthiest in years, and the unemployment rate is at a 17-year low. All of this baffles the analysts. They think this should lead to higher wages for workers, which could push inflation higher across the economy, but then there is the technology boom replacing workers. Banks have been letting go their older more expensive staff replacing them with junior people to save money. This too is creating confusion in the analytical world. Others fear that if inflation picks up faster than the Federal Reserve is expecting, that it will force them to raise rates more quickly than it has prepped markets for. Then they claim a crash is still possible as if then people will sell private shares and run into government bonds once again. Then there is the growing potential for a trade war. They argue that companies in the Standard & Poor’s 500 index got 43% of their sales from outside the country in 2016, Therefore, they see a trade war will kill earning and cause the crash. On the one hand, they admit Trump’s policy is a winner, but then again, it can backfire. Then we have those who say Trump will create a real war with Korea. That they see as a geopolitical risk that can kill the bull market. Yet stocks have tended to rally during war periods. They some say that the expectations have become just too high. Among the analysts at least, there is more recent optimism and more complacency after being wrong for the first 8 years. This risk is IMPEACHMENT and nobody seems to consider that factor. Of course, our correlation models are completely different and proprietary so we do come up with different results. We do not use the standard math for correlation analysis taught in schools. This aspect of our model is completely a new frontier.